Jeff P (Guest Writer – MLB reports): The amnesty clause has received a great deal of attention in the National Basketball Association, as it became a new provision in the new collective bargaining system. The amnesty clause allows a team to terminate a player’s contract, though it comes with certain conditions and restrictions. First of all, if a player is amnestied, his contract doesn’t go against the salary cap. As a result, players like Chauncey Billups, Travis Outlaw, and others with large contracts, were amnestied. However, only one player per team can be amnestied. When this occurs, he goes to the waiver wire, and teams can proceed to bid for his services. An amnesty clause would help many MLB teams lower their financial deficits. It might not make players happy, but business is business, and in many cases an amnesty clause is very much-needed. The amnesty clause not only helps a team clear financial deficit. It can also play a huge role for a team that needs to acquire just one small missing piece in the quest for a championship. Without a doubt, if an amnesty clause is put into place, there will be some talented players available on the waiver wire. It will be enjoyable for fans to follow the player movement. New players could change the look of different teams. A new available player could take a team to the playoffs. He can help his new team succeed. Having an amnesty clause in place could prove to be very beneficial to all teams involved, financially and in competitive balance. Currently Major League Baseball has no form of amnesty clause in place. Even so, let’s take the time today to project if it was. Here is a look of each MLB team if an amnesty clause was in effect in Major League Baseball. 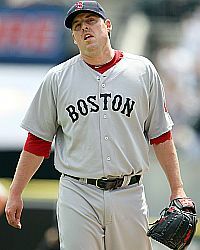 He had the Boston Red Sox record for the highest earned run average in at least 150 innings in 2011. He is getting paid over $15 million each season. He posted 12 horrific losses, and had a 6.41 earned run average, not to mention he is expected to miss the whole 2012 MLB season, due to Tommy John surgery. The unlucky man’s name is John Lackey. It all started off on December 16, 2009, when John Lackey signed an eye-opening contract worth $82.5 million dollars over 5 years with the Boston Red Sox. He had a disappointing start as he posted a 14-11 record, with a 4.40 ERA in 2010, and topped that off with a 12-12 record, and a 6.41 earned run average in 2011 and the announcement that he would miss the 2012 season with Tommy John surgery. His contract is up in 2014. It is clear to say, John Lackey should be a victim of the amnesty clause. The Blue Jays don’t need this amnesty clause, since they have been considerably lucky and careful with the contracts of their players. Mark Teahen was acquired by the Toronto Blue Jays from the Chicago White sox near the trade deadline in July. He finished off the 2011 season with a .200 average, four homers, and 14 runs batted in. He is getting paid $5.5 million this coming season, which is the last season of his contract. Teahen, really doesn’t have much of a role in 2012 as part of the Blue Jays organization. As a backup, a player with $5.5 million contract, in a small market team is enough to be amnestied. Yes, there can only be only one victim in the clause, but it was too close to call. Alex Rodriguez had an off-year. He played less than 100 games, and only posted decent stats. Rodriguez is a good player, and would be a Yankee fixture likely for many more years to come. But he has the largest contract in the league, which must be terminated. He is getting paid almost $30 million per season throughout 2017, and is declining, as next season he will turn 37-years-old. The Yankees can get much better pieces with the large contract he has. A.J. Burnett has come off another terrible season, and has shown no signs of getting better. 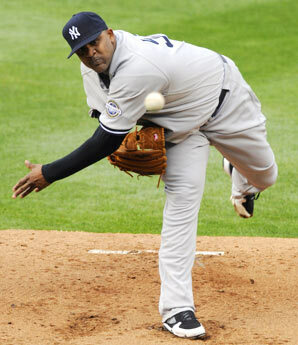 He is receiving about $16.5 million per year throughout the 2013 season, and has given the Yankees nothing but trouble. 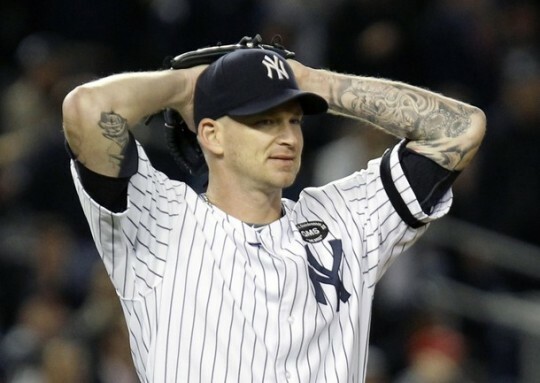 For the past two seasons, he posted an earned run average above five, and the Yankees would have no reason in the world not to terminate his contract if they had a choice. This was an easy one. Brian Roberts’ season was filled with injuries, and his bat is going into decline. Despite Roberts’ speed and strong defense, overall a .221 average, three homers, and only six steals, do not justify his large contract. Brian Roberts has $10 million per year remaining on his contract through to the 2013 season. As he gets older and continues his decline, the former all-star’s playing days are nearing an end. With a large contract, it is clear that Roberts would be amnestied if the team had the choice. I’ll be honest here, the Tampa Bay Rays have been extremely lucky. The Rays have a terrific team, even as a small market team, and their players played very well during the past season. In fact, the Rays aren’t even paying very high salaries to any players, with the largest salary they have being around $7 million, which is going to James Shields, who was a contender for the Cy Young award last year. Adam Dunn, is getting paid $15 million per season through 2014, yet he did not exhibit any valuable skills during his first season in Chicago. His power was barely existent, his average barely got past the .150 mark, and his defensive skills are negligible. Even though the White Sox have Jake Peavy, and Alex Rios, who aren’t worthy of their contracts, they are still playable. Adam Dunn is just horrible. 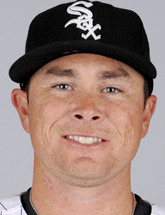 He is not a useful piece at this point in the White Sox puzzle. Travis Hafner has been a nice contributor in previous seasons, but he isn’t worthy of his whopping $13 million per year contract. In 94 games last season, Hafner posted 13 homers, and a decent .280 average. Hafner is still a good player, although he is not the same player as the 2005 season Hafner, or the 2006 season Hafner where he was contending for the MVP award. Hafner remains a clutch player and positive influence in the dugout, but his contract is slightly high for an aging 34-year-old. The Royals’ team is filled with youth, and cheap pieces. The Royals contracts aren’t very bad as a whole. Their main star, Joakim Soria, had a slumping season last year. Since his contract is made up entirely of options, there is no reason in the world to amnesty him. Also Soria is still an elite player. The Kansas City Royals are looking at some great youth coming up to the big leagues, and own arguably the best farm system in the league. 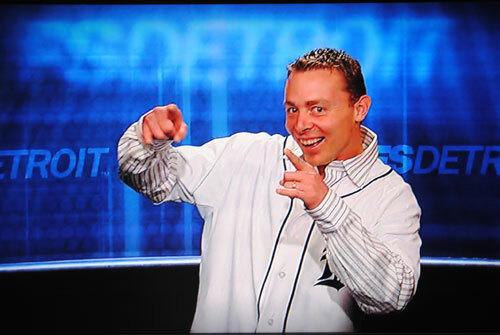 Brandon Inge is a clear victim. $5.5 million in salary makes him a clear candidate for amnesty, while his batting average didn’t hit the .200 point, and he only had three homers last season. Despite his strong defensive side, and being a piece to the team, he’d be dropped. The Tigers, remain a successful team, with large contracts, yet none deserve to be terminated. In the averaged Detroit market, $5.5 million for a player who has no offensive side is a clear victim for the amnesty clause. Yes, this is the same Joe Mauer who won MVP a few years ago. But does he really deserve $23 million annually? The answer to that question is no. 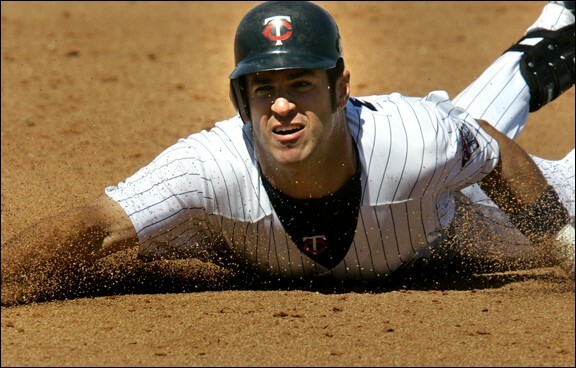 Mauer had an unexpected downfall in the 2011 season, where he only played 82 games, batted .287 (36 points less than his career average), and hit only three homers. His plagued season earns him the amnesty spot. He isn’t consistent on the field, nor is he healthy. No one here can argue $23 million is well deserved at this point. Too much risk for us. 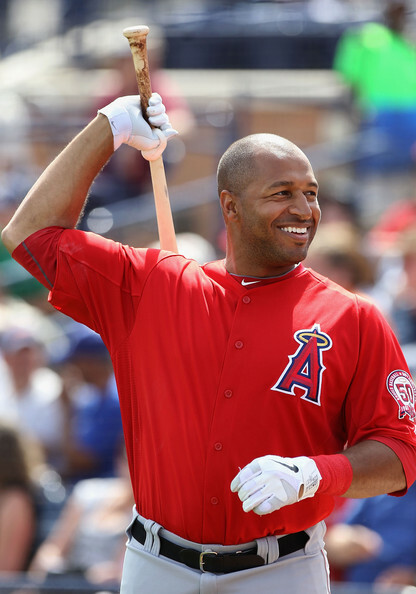 When we hear the name Vernon Wells, the thoughts are apparent: a once powerful bat, with a whopping contract. 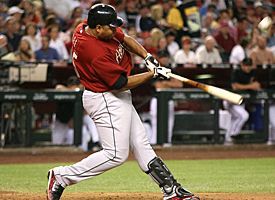 Wells was traded to the Los Angeles Angels of Anaheim during the last offseason for Mike Napoli and Juan Rivera. Napoli had an outstanding breakout season while Vernon Wells just proved he can’t hit a ground ball through the middle. Wells has a well-known name. 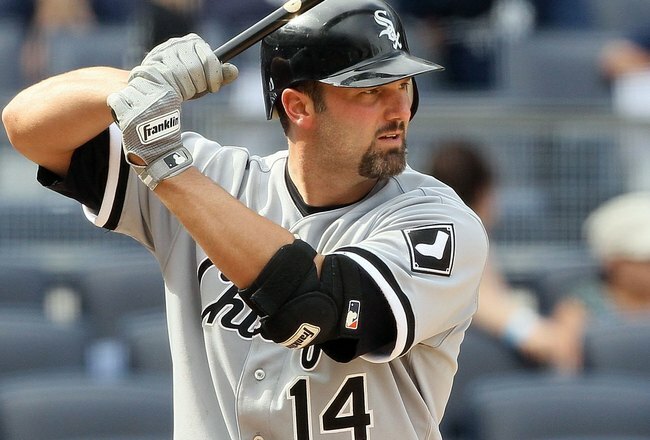 He is a three-time All-Star, two-time Gold Glove winner, and had a nice batting average once upon a time. When a person looks at his whopping contract, the jaws are widened, and the name will get cut off the list with amnesty. If only it were that simple for the Angels. Ichiro Suzuki had a horrific 2011 season despite his 40 stolen bases, which is a mere luxury for the team considering Chone Figgins, and various other sources of speed on the team. The Mariners would be quick to amnesty Ichiro, because his bat is slumping, average is down, he has no power, and speed in itself isn’t worth $17 million a year. The Rangers do not have many problems with contracts, and have none worth the amnesty clause. They really need little work with their team, and are only a little step away from winning their rings, which they almost got each of the last two years. The Athletics are a small market team, but received little help from the closer who had absolutely no luck last year, which resulted in eight losses on his record. Brian Fuentes in actually doesn’t deserve to be amnestied, considering he had a decent 3.70 earned run average. Fuentes is set to earn $5.5 million this year. With the contract being large for a small market team, and his unsuccessful 2-8 record, they would cut him in a second. 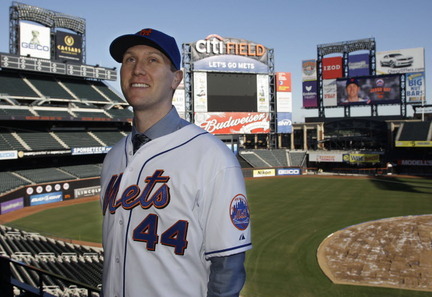 The Mets are plagued with their high, unsuccessful payroll, and with often injured Johan Santana and Jason Bay. There is a lot to say about Bay, as he was signed for a whopping $16 million per year, failed to reach the .250 batting average mark, and didn’t even provide a power bat, as he posted only 12 homers during the 2011 season. Johan Santana, can also be a likely victim. Santana, is going to get paid a whopping $24 million next year, and still might be plagued with his constant injuries. Santana has lost a great deal of time due to injuries, although he still has a nice chance to come back with a successful future in a Mets uniform. Bay though is a lost case in my estimation, and the Mets without amnesty would need to suffer with him throughout the 2013 season. The Marlins have a new team, a new star, an above average pitcher in Mark Buehrle, and some depth adding to it. Ricky Nolasco posted a horrific 4.67 earned run average last year, and had 12 losses. This could result in an amnesty clause cut. Nolasco’s contract isn’t very pretty, as he still has a remaining $20.5 million through the next two seasons. Nolasco is still a decent piece, and would be picked up by a team, for reasonable money. He has good skills, but his stats ruin his chances of being worth a big contract in the Major League Baseball market. The Nationals have an up-and-coming team. They have Stephen Strasburg, Bryce Harper, some nice depth, given their current roster, and of course, the newly acquired Gio Gonzales. However, Jayson Werth is a failure, and is set to receive $116 million over the next six years. Jayson Werth had a horrific season in 2011, giving the Nationals troubles all season long. Werth posted 20 homers last year, but only had a .232 average, as he showed similar symptoms of slumping power hitting, as did Adam Dunn, Alex Rios, and several others. With an amnesty clause, the Nationals would cut Werth with a blink. Werth had a terrible season, and didn’t satisfy any of the Nationals needs. The Philadelphia Phillies have an All-Star rotation, and Joe Blanton just doesn’t make the cut. Joe Blanton, had an injury-plagued season in 2011, and Vance Worley took his spot, and was extremely successful. Rookie Vance Worley unexpectedly posted eleven wins, a 3.01 earned run average, and earned a spot in the rotation. With Joe Blanton slumping and barely playing last season, his $8.5 million contract coming into the bank in 2012, he is a clear cut for the Phillies. There’s really is no one to choose from the team. The Braves, had a good season, and their players succeeded greatly. Derek Lowe was dealt, Chipper Jones was an All-Star, and Dan Uggla had a late season surge. There is no one left. Their team is set, if only there was an amnesty to cut Derek Lowe’s remaining $10 million dollar contract. 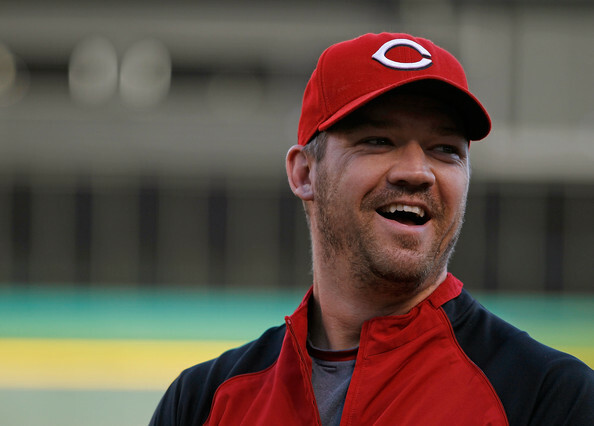 Scott Rolen had his time. The Reds are going to pay Rolen $6.5 million next year, while he only posted a .242 batting average. The Reds are clear to cut him despite his attitude as a great teammate, and his decent glove. Bronson Arroyo is another candidate, though his season was a really big slump. For some reason, the feeling inside me tells that he will have a nice season next year. The Wolf is out of the house. Wolf had a nice season last year, but can the 35-year-old continue his winning ways? Wolf will be receiving $9.5 million next year, and the hopes are pretty low him. Not many believe he will be worthy of $9.5 million, including the Brewers. Soon enough, he will be the victim of amnesty clause. Unfortunately for the Houston Astros, with all honesty, their team is horrific. So horrific that Carlos Lee is their star. Carlos Lee is set to receive a whopping $19 million a year, and he is expected to have a similar year to this past year, which was 18 homers, a .275 batting average, and 94 runs batted in. Despite his decent stats, the $19 million really hurts. The Astros wouldn’t mind oto cut Lee in a second, if the amnesty clause rule was in effect. Did anyone realize the Pittsburgh Pirates payroll is only $10 million more dollars than Alex Rodriguez’s contract? Yep, it’s $42 million this coming season, and they have no immediate victims worth using the amnesty clause. They aren’t even paying a single player more than $5.5 million. That is insanity in this day and age. The Cardinals players as a whole were extremely successful this year. There was Lance Berkman, who coming off a slumping season broke out in 2011, with a 30 homer, .300 batting average season. Kyle Lohse had a surprising 3.39 earned run average, and 14 deserving wins. The Cards are in good shape going into 2012. If only a team can use the amnesty clause an unlimited amount of times. 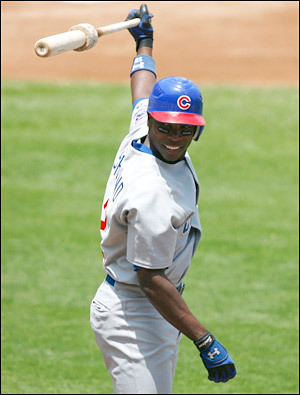 The Chicago Cubs have Alfonso Soriano, who is receiving $18 million per season throughout 2014. They also have the clubhouse hell known as Carlos Zambrano. Alfonso Soriano makes the cut. The 35-year-old enjoyed a nice power season last year, as he posted 26 homers, though his .244 average makes him a clear choice for the cut. The seven time All-Star is on a downfall, and he would be the Cubs choice if there was an amnesty clause rule. The San Francisco Giants, have a strong rotation, and similar to the situation the Phillies had with Joe Blanton, the Giants have a decision to make with Barry Zito. Barry Zito has $39 million remaining on his contract for the next two years. His injury-plagued season may cause him to be lost, and stuck with no spot. Replacing Barry Zito in the rotation was Ryan Vogelsong in 2011, who had a 13-7 win to loss record, and a 2.71 earned run average. Zito is now working in Triple-A after suffering from two hectic injuries in the 2011 season. The Diamondbacks had a whopping breakout season last year, and have almost no financial issues either. They have a clear path to be successful in the upcoming years. As their total payroll is only $56 million, there is no reason to cut anyone at the moment (especially since Joe Saunders is off the roster). The Los Angeles Dodgers are completely plagued by financial difficulties. Frank McCourt gives the team financial chills, and as a result the player who would be cut is Juan Uribe. Juan Uribe is a terrible batter at the moment. After playing 77 games in 2011, he barely hit over .200, and only posted four homers. He has $15 million remaining on his contract, and with those stats, who would want to pay for that? After suffering a complete tear of the ulnar collateral ligament, the Rockies would be bound to drop De La Rosa. Jorge De La Rosa had an average season last year despite being injury-plagued and inconsistent. The last thing Rockies want is another dominant player having injury issues in the 2012 season. With Carlos Gonzalez, and Troy Tulowitzki suffering injuries last, year the last thing the Rockies want is $10 million dollar starter Jorge De La Rosa on the roster, and unable to contribute. The team needs to free up money for healthy alternatives. The San Diego Padres, are financially in no deficit. In 2011 their payroll barely exceeded 45 million dollars, though they wouldn’t hesitate to cut an unneeded player. Jason Bartlett, is a decent player, though his bat is unworthy of $5.5 million. He has a nice defensive side, and he has decent speed, though it is difficult to overlook his .245 batting average, and two homers last season. The 32-year old had a paltry .307 slugging percentage last season, which was an all-time MLB record for the lowest slugging percentage for a player with over 512 at bats in a season.